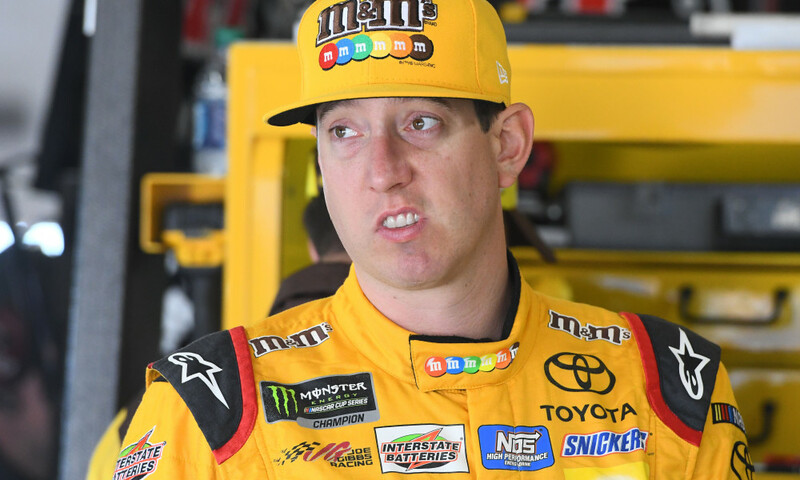 Kyle Busch and Brad Keselowski will not be exchanging Christmas cards, again this year. The Joe Gibbs Racing and Team Penske drivers are both former Monster Energy NASCAR Cup Series champions. Both are ferocious competitors who give no quarter and ask none, whether on or off the race track. And last week, they renewed their longstanding rivalry with a heated Twitter exchange centered on Toyota’s recent dominance of the MENCS. After Toyota drivers claimed the top four spots in practice Friday at Chicagoland Speedway, Keselowski sounded the alarm, alleging that Toyota enjoys an unfair technological advantage over its Ford and Chevrolet brethren. Furniture Row Racing crew chief Cole Pearn and Sherry Pollex, longtime girlfriend of driver Martin Truex, Jr., also weighed-in with remarks critical of Keselowski. The Team Penske driver refused to relent, however, doubling-down on his previous remarks and insisting, “(Toyota’s) got a lot going for them right now. You can BS through it any way you want, but it’s there, and we know we’re going to have to out-execute them. Predictably, Busch countered once again, accusing Keselowski of “slapping his people across the face. “We watched those guys be fast in the beginning of the year,” said Busch. “We’ve watched them be fast in years past, even when the Penske guys were with a different manufacturer. They won a championship, but we didn’t do our complaining on TV. We did our complaining in the shop on Tuesdays and went to work. That’s where it’s all done, and that’s what we’ve done. "The Penske group was 100% for the no-skew rules and they got what they wanted over the offseason," added Busch. "We were against that, (but) we just went to work. “If you ask Brad, he can fix the world's problems. The fact of the matter is, nobody else is doing anything. He thinks that somehow, Big Brother is going to come and help him." 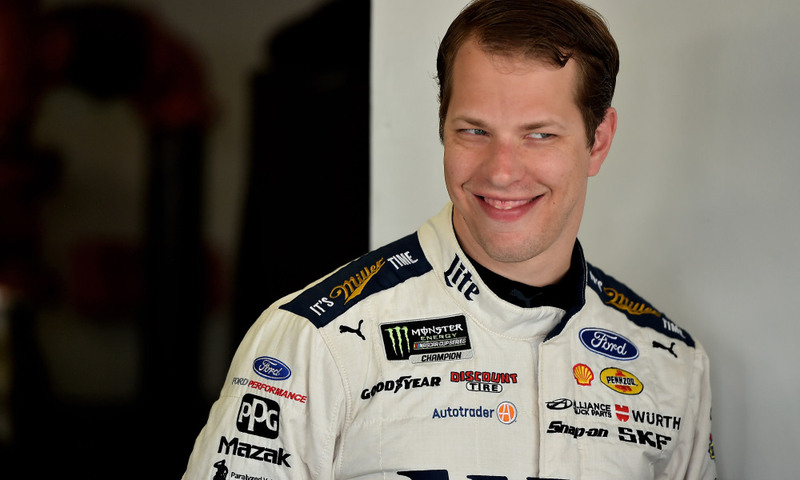 Twitter histrionics notwithstanding, does Keselowski have a point? Does Toyota enjoy enough of a technological advantage that NASCAR needs to step in? While Truex, Busch and Hamlin have won nine races for Toyota this season, that’s just one more checkered flag than Ford Motor Company and one fewer than Chevrolet. A few short weeks ago, NASCAR garage-area conversation centered on “what’s wrong with Joe Gibbs Racing?” But the team kept its nose to the grindstone and found the speed necessary to compete -- and win – once again, just in time for the playoffs. That’s what racers do. Momentum ebbs and flows in this sport, and the manufacturer that is riding high today can be scraping the bottom of the barrel by next week. There is no debating that Toyota rules the roost right now, claiming six of the last nine MENCS checkered flags. But Ford began the season with five wins in the first 10 starts, without any calls for a Congressional investigation. 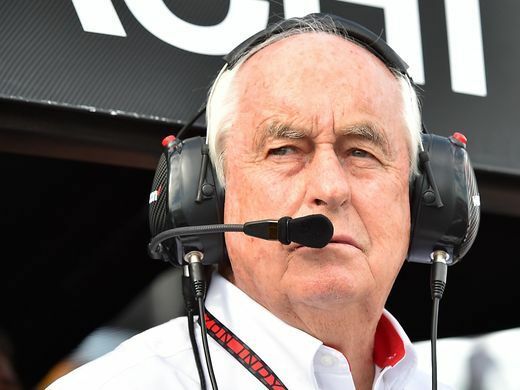 Penske: "We're a little bit behind right now." Keselowski’s car owner, Roger Penske, admitted as much last weekend when asked about the war of words between his driver and the Toyota camp. “Look, I’m not on Twitter,” said Penske. “(That’s not) the way I run my business. I’m not one that decides to talk about my pluses and minuses in the media. “Brad has his own thoughts that are probably not the feeling of the team at this point. Toyota has done a great job in preparation for the last part of the series. I think we had good cars early on, (but) I think we’re a little bit behind right now. Head games have always been a part of this sport, and few drivers are more adept at getting between the ears of the competition than Keselowski. Few drivers have proven more vulnerable to psychological warfare over the years than Busch; making Keselowski’s recent comments understandable, if not entirely predictable. Identify the guys you need to beat for the championship, then find a way to get them off their game. All’s fair in love, war and stock car racing, and the temperature will continue to rise as the stakes get higher. "I'd like to know what Toyota is paying Brad,” laughed Hamlin last week, “because he is our best spokesman. “If you're shopping for a midsized sedan, get the unfair advantage, get a Toyota." Jeff Gordon: 10 wins alone in 1997. Jeff Gordon: 13 wins alone in 1998. Hardly 1970s. Hardly one manufacturer. Simply one team (not organization, but one team) that found something with hard work and determination combined with superb driving talent. Shut up and drive your car, Brad. If Toyota had the same street cred with performance enthusiasts that Ford and Chevy have maybe Brad would have a point, but when the publicity gets scarce you can always depend on brad to insert himself into any conversation.